Pure Body and Pure Body Extra Strength - Thermo Tech Inc. | Thermo Tech Inc. 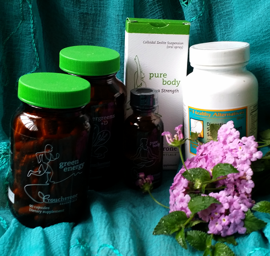 Pure Body and Pure Body Extra Strength U.S. CDC statistics show we have an average of 212+ industrial toxins stored in our body. Now we can eliminate our bodies burden of the chemicals and no longer need to worry about the toxins we breathe, eat, and drink. This detoxifier is carefully formulated to bind to positively-charged heavy metals, radioactive particles, and volatile organic compounds in a protective ‘cage-like’ structure and eliminate them from your body with NO harm to your eliminatory organs. Third party studies attest to the selective nature of Clinoptilolite a refine Zeolite, to remove only toxins and has been proven safe for pregnant women and infants. Click here for more information on these products!